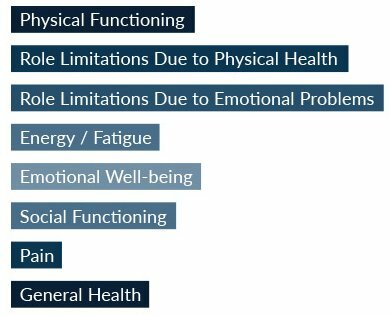 What is Health related Quality of Life (HrQoL)? The Health related quality of life assessment gives a snapshot of your well-being. This includes emotional, social and physical aspects of your life. Through this five minute assessment, we hope to make you aware of the various facets of your physical and mental health. Some of the positive steps that you may take after you read the report will help you live a healthier and more productive life. This instrument is an adaptation of the RAND 36-Item Short Form Health Survey that was developed as part of the Medical Outcomes Study. The RAND Corporation is a US based research organisation that develops solutions to public policy challenges to help make communities throughout the world safer. Established in 2015, Silver Oak Health’s mission is to develop innovative and scientifically-proven online programs that enhance people’s cognitive functioning. Using technology, cognitive science as well as a customer-focused approach, the company aims to be a world leader in helping people achieve their full potential. Read more.